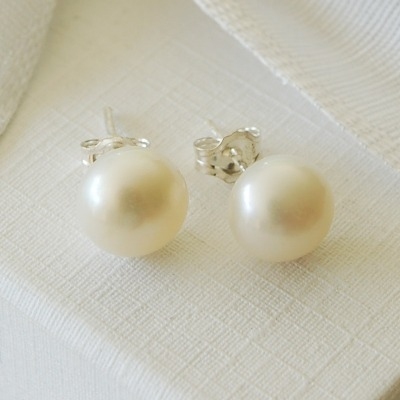 We are really pleased to bring you these high quality genuine freshwater pearl stud earrings at such a fantastic price! The pearls measure 8mm diameter and are set on Sterling silver backs. Perfect wedding earrings or bridal jewellery.